Producers of elite alcohol know perfectly well how important it is to be able to present their products on the market, especially in times of severe competition, so draw attention using this sleek looking tin packaging for your drinks marketing. 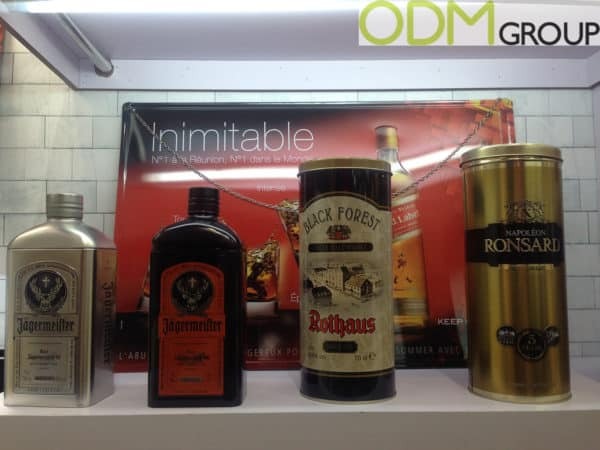 Here you can see examples of famous alcohol brands such as Jagermeister, Rothaus, and Chopin Vodka displaying their drinks in a high-end and rustic look tin box giving plenty of opportunity to give these items as an exclusive gift with purchase, for use as displays in-store to proudly present on your shelves. 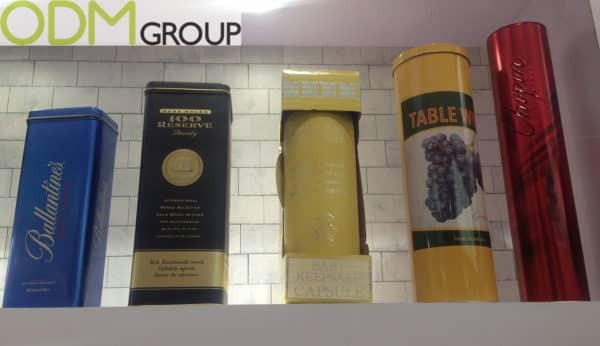 Tin is really good, durable and mouldable material and that’s why these tins can be custom shaped to represent your brand’s bottles. As seen, they can be easily customized for companies to differentiate themselves from their competitors due to their special own packaging design. Why do we advise you use this cool tin packaging idea for your drinks marketing? Design appeal. This cool tin packaging must cause a desire to taste the drink inside, and presents a tempting thought to try. The shiny material and label designs create a high-end and classy feel to the original bottle inside. Because the packaging design is unique, people will feel proud to have this on their shelves. Practicality. They can protect the bottle from being broken. They are particularly suitable for packing wine and liquor bottles and glassware. A tin box can be used as storage space for some smaller items when the drink is finished to keep as a brand reminder. Brand value. Metal tins for drinks packaging and promotion add glamour to first-class and famous drinks. Using this vintage tin package you will increase your brand value. Green marketing idea. Tin production is easily recycled. Make your brand environmentally friendly. Expensive drinks need the right packaging so it is time to join the best brands in this trendy area. And here at ODM, we are glad to suggest this cool promo idea, so feel free to contact us today and reference ODM-1237 to us.